Take a leaf out of this tables design! 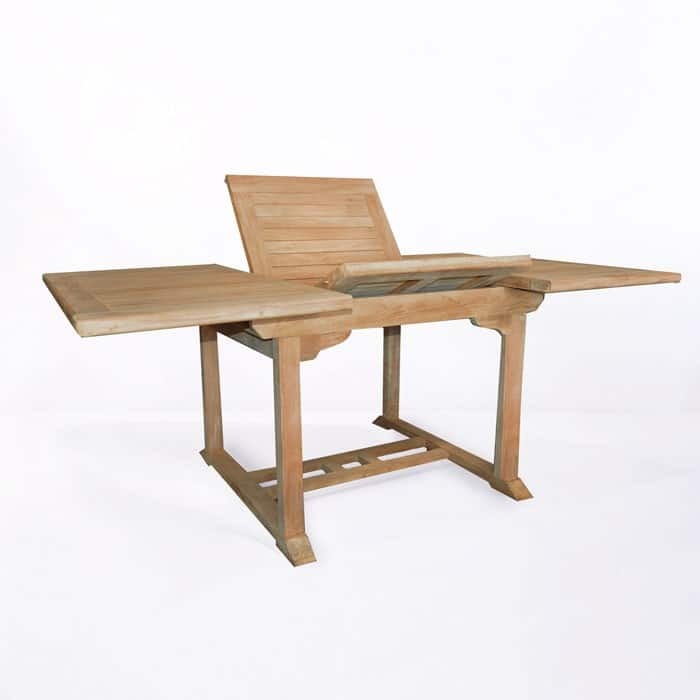 With the Rectangle Teak Extension Table 47” you can expand your table from 47 to 70 inches just by unfolding the hidden leaf on the underside of the tabletop. 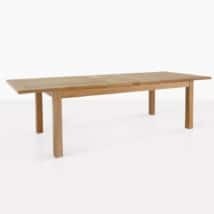 Sitting at an ample 35 inches wide, the Rectangle Teak Extension Table 47” is an ideal table for people who love to entertain, enjoy huge feasts, and cater for many. We give you the option to sit up to 8 people people around this splendid table. 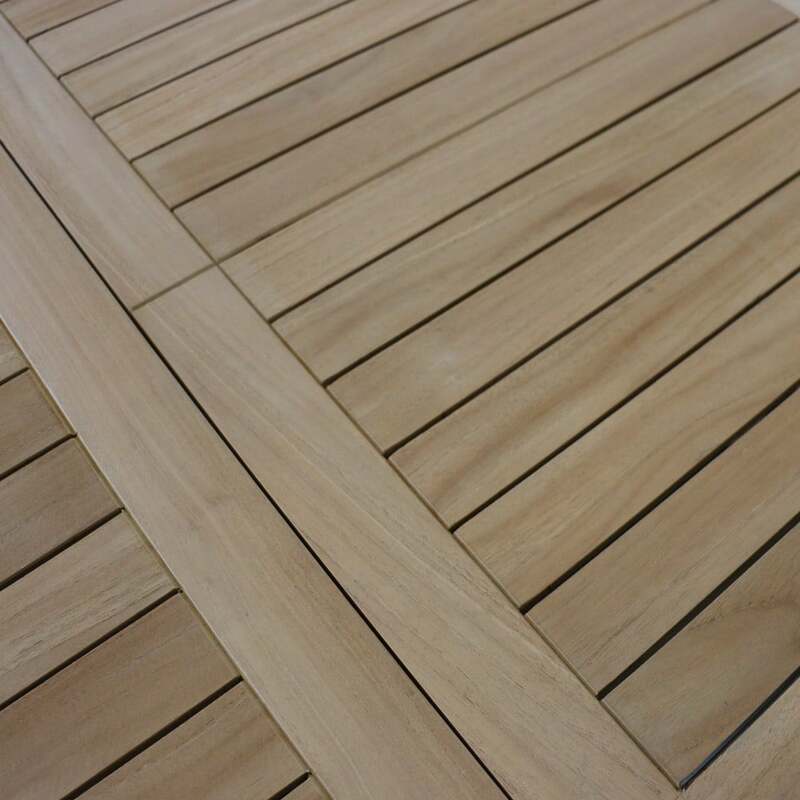 The Rectangle Teak Extension Table 47” is made entirely out of long lasting A-Grade Teak, the leading wood material for constructing outdoor furniture. Sourced from plantations in Indonesia, teak is given the A-Grade when it has been cut down and kilned after 40 years of growth, giving the tree the time to generate natural oil and rubber which protects it against the changing elements and ensures a longer life span which means the Rectangle Teak Extension Table 47” will be a piece of furniture you will enjoy for many years to come! As well as A-Grade Teak, we have a tremendous supply of Stainless Steel, All Weather Wicker, Raw Concrete, Batyline® and Textaline®, Sunbrella® and Reclaimed Teak products. At Teak Warehouse we are proud to house over 800 unique products specifically to help our clients dine, relax, and bask in the glory of the outdoors in luxury, long lasting products. Teak Warehouse has been in business over 20 years because of our commitment to exquisite designs at wholesale prices. Make a full dining set with the Rectangle Teak Extension Table 47” and some of our dining chairs, create an outdoor lounge suite with some of plush deep seating, enjoy a poolside haven with our loungers and bar furniture, or ornament your garden with some of our quality pots and planters. Don’t forget about shade too! We have a range of umbrellas and cantilevers to suit the spacial requirements and style of your space! The Rectangle Teak Extension Table 47” is an ideal focus point for your brick or stone courtyard; place it in the center surrounded by some of our powder coated aluminium and wicker chairs in black for an awesome combination of classic and modern influences. Mix in some large concrete plates and planters of your choice to give it that personal flourish. Perhaps your garden is lush, green, vast and in desperate need of some furniture. It’s time for a teak invasion! 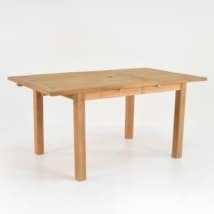 Try the Rectangle Teak Extension Table 47” with a collection of side and arm folding teak dining chairs on one side and a hardy, picnic style bench on the other for an excellent, welcoming and versatile space for entertaining. Light a few candles and enjoy dinner parties that go long into the evening. Teak Warehouse’s Rectangle Teak Extension Table 47” is a classy and classic addition to any outdoor area. 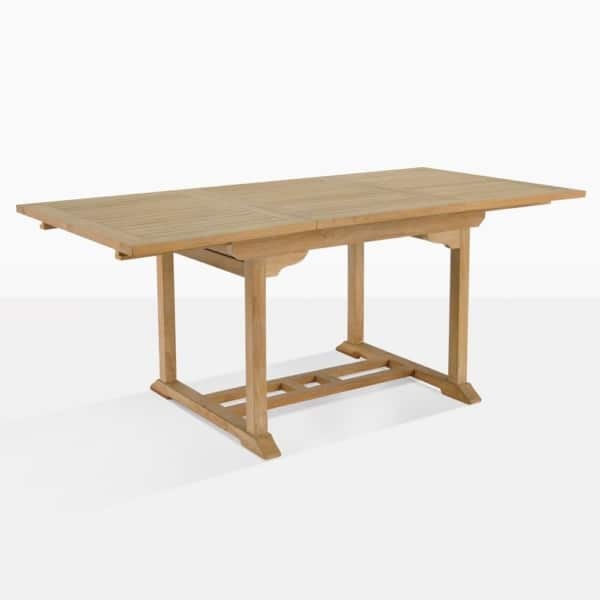 It is our smallest extension table of this kind, ideal for those who like a quiet meal with a loved one but also like to host larger events. Call us today to discuss what options might work for you!